Although the manga series by Ryuuhei Tamura is still in publication through Sueisha’s weekly Shounen Jump magazine, the heaven for shounen, the anime series will find the end of their path on March 25, 2012 when the 60th episode will be broadcasted. There is no current information about what makes another Shounen Jump anime find its end this March (Bleach), but it seems that there is a crisis for audience. This shounen anime follows a high school delinquent and his newfound companion – a cute, but obnoxious, little child that is actually the son of the highest power in the demon world. Many funny situations follow the extremely odd meeting of the two in the comedy… but not funny enough, obviously. For the ones who still enjoy Beelzebub, I can at least comfort you with the fact that Ryuuhei Tamura’s original manga will continue in the Weekly Shounen Jump magazine. Beelzebub has been airing since January 9, 2011 and has gathered a lot of fans during the past year. For the 60 episodes it has sprung, a lot of motivational posters, fangroups and admirers have appeared throughout the internet and other-word locations. 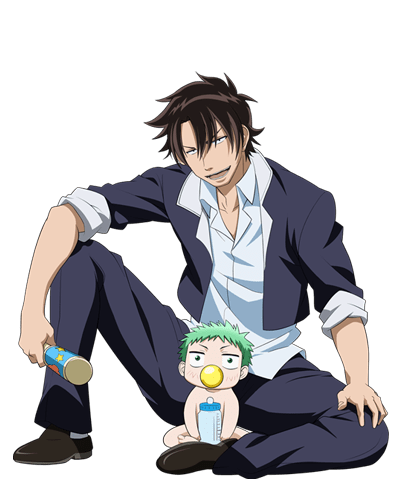 It is a surprise for me to have this show end in the middle of the season and on such a short notice, but it is a second adaptation of a Shueisha Shounen Jump magazine to end this March after the announced final arc of the Bleach anime that is supposed to end this March 27.
beelzebub anime is ending because the manga is not a top 5-7 selling manga. bleach is moving time slots because its no longer a top selling manga. beelzebub was a 12-17 selling manga. so im surprised the anime went on for as long as it did. I really just wanna to know why it’ll end? Was with low audience? The contract expired? Financial problems? Or it’s just a break to not have filler? I thought that was fairly popular…?! It seems we both were wrong here. So, you like Chibi Devi! more? Much more manly, yes. I suppose we can all just forget about shounen genre and turn to the chibi one, eh? 3. Chibi genre is particularly ridiculous and that’s an integral part of it, while having the same storyline for shounen is ridiculous. I think Bleach’s author is running out of ideas and is getting creative fatigue. Not even the best creators can write the same thing, forever. And Bleach and Naruto have been doing it for almost a decade. Naruto is doing a good ending, but Bleach sort of got weird. Perhaps it was popular, and they are renegotiating the contract or perhaps they wanted to buy episodes in bulk for a volume, and the manga isn’t that far. So negotiations were stalled. This means that the negotiations might continue, or may not. Nooooo…. it was so much fun!